Oppo A7n Smartphone Unveiled in China - Playfuldroid! 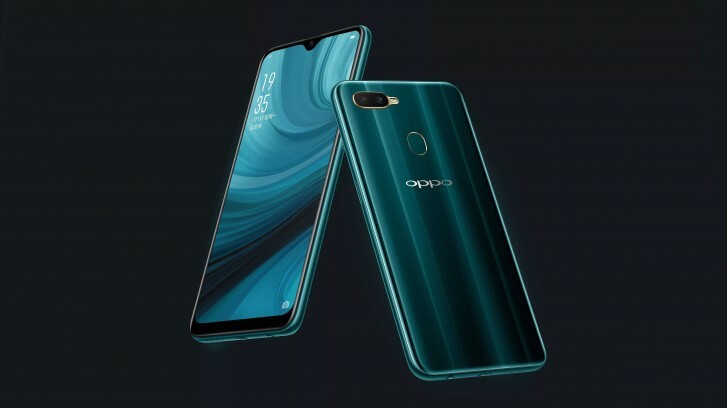 Oppo has announced a new smartphone called Oppo A7n in China. The smartphone has arrived in quick succession of the Oppo A5s phone that was unveiled recently. Both phones have identical specs and the only noticeable differences between the two phones is that the Oppo A7n is equipped with more RAM, better front-facing camera and NFC support. The Oppo A7n has a Dewdrop display of 6.2 inches that offer HD+ resolution of 720 x 1520 pixels and an aspect ratio of 19:9. The MediaTek Helio P35 chipset and 4 GB of RAM are present under the hood of the device. The native storage of the phone is 64 GB and it comes with support external storage. A big battery of 4,230mAh capacity drives the smartphone. The back panel of the smartphone is fitted with an LED flash enabled 13-megapixel + 2-megapixel dual camera module and a fingerprint reader. It has a selfie camera of 16-megapixel. The smartphone is equipped with support for NFC. The other connectivity features of the Oppo A7n are Wi-Fi 802.11 b/g/n, Bluetooth 4.2, GPS, microUSB 2.0, USB OTG and 3.5mm headphone jack. The Oppo A7n carries a price tag of 1,499 Yuan in China and it comes in Lake Light Green color only. The smartphone is now available for purchase in the home market.